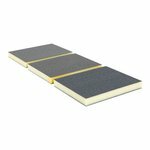 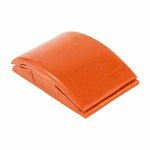 These popular abrasive pads are coated on two sides with silicon carbide and are extremely flexible. 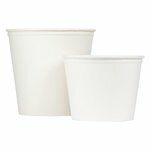 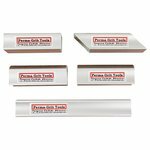 Use them to easily smooth out marks on flat, shaped, and curved surfaces. Sponges measure 4" x 5" and are available in 100, 150, and 220 grit. The 100 Grit Double Sided Abrasive Sponge is sold by the unit (#2138-A) and by the dozen (#2138-B). 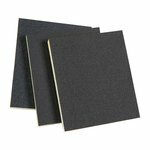 The 150 Grit Double Sided Abrasive Sponge is sold by the unit (#2136-A) and by the dozen (#2136-B). 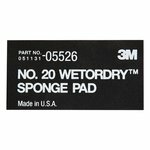 The 2200 Grit Double Sided Abrasive Sponge is sold by the unit (#2137-A) and by the dozen (#2137-B).